Whether you’ve just started noticing the signs of aging or you’ve been battling jowls and turkey neck for a while, you have more options than ever to go back to younger-looking skin. In fact, with the help of an expert doctor and a regularly scheduled treatment plan, you can keep your skin looking fresh and vital for years or decades to come without incisions or downtime. Today’s innovative, minimally invasive injectables and noninvasive laser treatments at Serenity MedSpa in Pennington, New Jersey allow you to put off surgical interventions for years or never use them at all. Wrinkles are usually the first real sign of aging you notice, and they often turn up in areas of your face where you make the most expressions. Frown lines, forehead furrows, and crow’s feet from squinting at the sun can start etching themselves into your skin even while you’re in your teens or early twenties. To smooth out wrinkles, Dr. Sharon Gertzman of Serenity MedSpa, recommends Botox® Cosmetic injectable therapy. Botox uses a highly purified form of the protein botulinum toxin A to interfere with the signals that tell your facial expression muscles to contract. Once your muscles relax, they can’t press your skin into creases and folds anymore. Your wrinkles smooth out, and your skin looks silky and fresh. Her expert, light touch gives you just enough Botox to smooth out your skin while still allowing you to laugh, smile, and make beautiful and natural-looking expressions. Botox starts to work within a few days, with optimal results visible at the two-week mark. Dr. Gertzman recommends touch-ups every 3-4 months to maintain your rejuvenated look. If you’ve noticed that your cheeks look lower or more hollow than they used to, or if you’re developing slight jowls or even a turkey neck, your skin has lost elasticity and firmness. In the past, the only remedy was invasive, expensive, and risky face-lift surgery. However, noninvasive heat-based skin tightening is growing in popularity, with more than 330,000 men and women opting for this treatment in 2017. Dr. Gertzman offers CynoSure®’s TempSure™ skin-tightening laser to revive your skin tone, improve texture, create a slight lift, and improve the overall health of your skin. Noninvasive laser therapy changes the structure of your skin from the inside so that it begins to act and look like your skin did when you were years younger. Your face starts to sag and thin out over time because your body stops producing collagen and elastin. Collagen is a type of protein that your skin uses to build a supportive matrix, so it stays firm and strong. Elastin is an elastic protein that lets your skin recover from stretching and other forces. 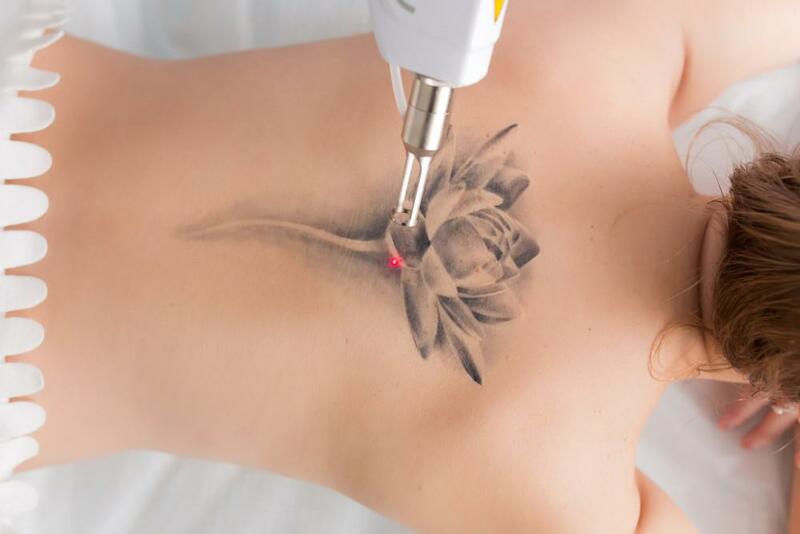 TempSure’s healing laser energy reaches deep into the collagen layer of your skin, where it heats up the old collagen, forcing it to contract and tighten your skin. As your skin reacts to the laser’s heat, it also undergoes a healing phase, where it begins to make new collagen and elastin — just like it did when you were younger. Over the next weeks to months, your skin begins to plump up and become more resilient. It actually starts to act like younger skin, as well as give you a tighter, healthier firmness and a youthful glow. Dr. Gertzman recommends at least four TempSure treatments to get the maximum tightening effect. You should leave about 4-6 weeks between each treatment so your skin can heal and begin to produce new, rejuvenating collagen and elastin. Touch-ups every year or so are highly recommended to maintain your fresher look. For maximum benefit, Dr. Gertzman suggests combining Botox treatments with TempSure skin tightening. Smoothing out your existing wrinkles with Botox while improving the quality of your skin from the inside out with TempSure gives you a natural and healthy-looking rejuvenation without surgery or downtime. While women and men used to wait until they were in their seventies or older before going under the knife for a surgical face-lift, today’s gentler rejuvenation techniques can be started at almost any age. Whether you’ve already noticed faint wrinkles on your forehead, or you know that frown lines are a family trait, you can use Botox to “prejuvenate” and stop the wrinkles from forming in the first place. Laser skin tightening also works most dramatically before significant drooping has taken place. The earlier you start, the longer you can maintain youthful and healthy-looking skin. When you’re ready to take control of your aging process, Serenity MedSpa is the place to start. Call for your anti-aging consultation, or use the online form.